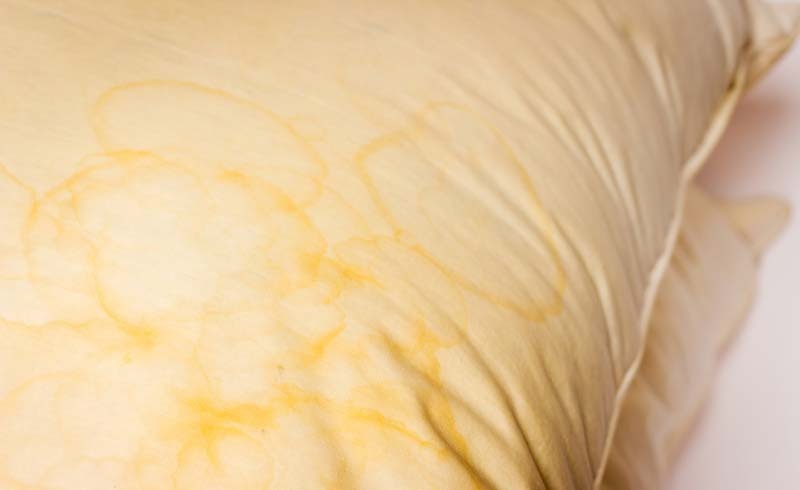 No matter how good your pillow protectors, sooner or later you’re going to find yellow stains on your pillows. However careful we are about our personal hygiene, inevitably sweat (and yes, sometimes saliva!) ends up soaking through onto the pillow. And that’s before we’ve even mentioned dust mites, skin cells and possibly bed bugs! When you see how disgusting those pillows look, you might be tempted to ditch them and buy new ones. But if you’re wondering how to whiten yellow stained pillows, it can be done very simply using a few common household products. 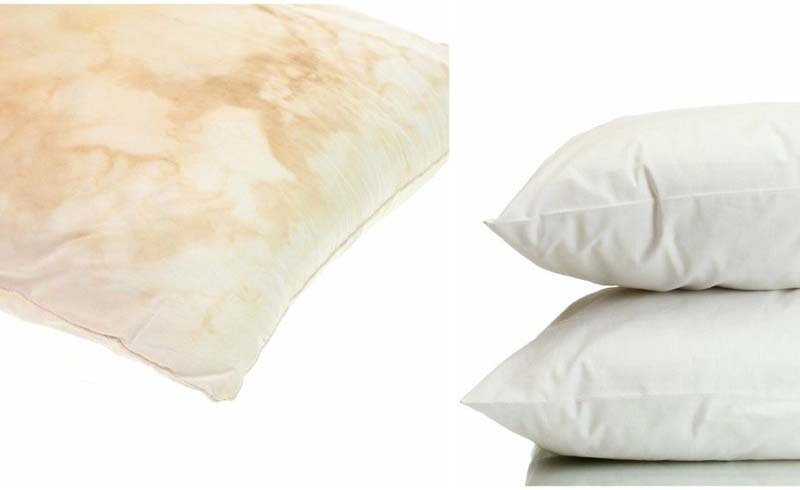 Here’s how to whiten pillows to return them to good-as-new condition. Fill your washing machine with very hot water until it’s about one-third full—check the wash label to find the maximum safe temperature for your pillows. Then add the cleaning ingredients and switch the machine on, letting it agitate for a little until everything is mixed well. Put your pillows in with the water and cleaning ingredients. It’s a good idea to do two pillows together so the drum in your washing machine is well-balanced. Allow the pillows to soak well, for about 30 minutes, turning them over if necessary to let the cleaning agent reach the whole pillow. Then continue filling the machine with hot water. Once it’s filled, set it to run on a complete wash that includes two rinse cycles—if you don’t have a wash setting with two rinses, then set a second manual rinse afterward. You can let your pillows dry naturally in the sun or put them in a tumble drier to speed things up. Feather and down pillows must be dried on an air cycle, while synthetic ones can only be dried on a low-temperature setting. Adding a couple of clean tennis balls or wool dryer balls will keep your pillows fluffy. And of course, dirt and stains can build up again quite quickly, so to keep your pillows in optimum condition, clean them every three months or so.